It is a surgical procedure where the frenum or frenulum is removed. This can affect the dental, prosthetic, lingual or labial mobility, if this is not corrected in time, it can cause tooth movements or gingival recessions. The process consists of eliminating the fibrous tissue between the teeth, cutting it and also releasing the upper lip. This procedure can be done with traditional techniques of cutting and suturing or by using a laser scalpel that facilitates the healing time, avoiding sutures and the postoperative period will be less painful and with less inflammation. 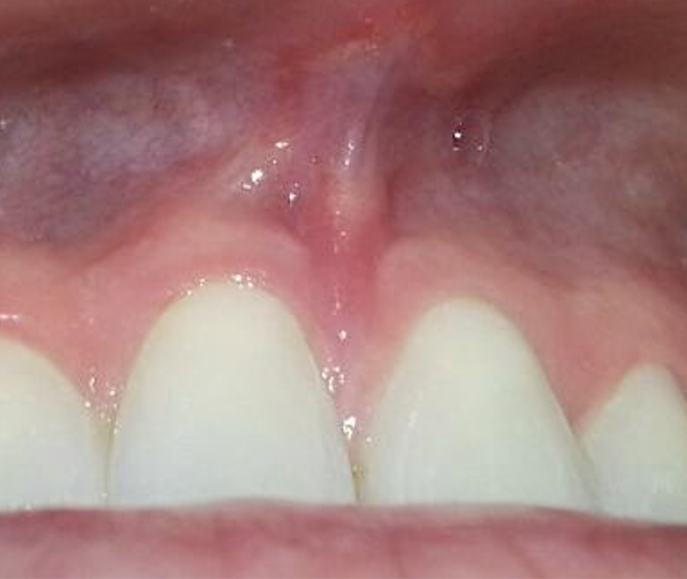 Below there is a clinical case of a male patient, who presents a small fold of tissue inside the upper lip (image 1), generating a separation (Diastema). The procedure consists in the removal and disinsertion of the frenulum by cutting it in a continuous horizontal way. The cut with the laser must be supraperiosteal, shown in image 2 below. 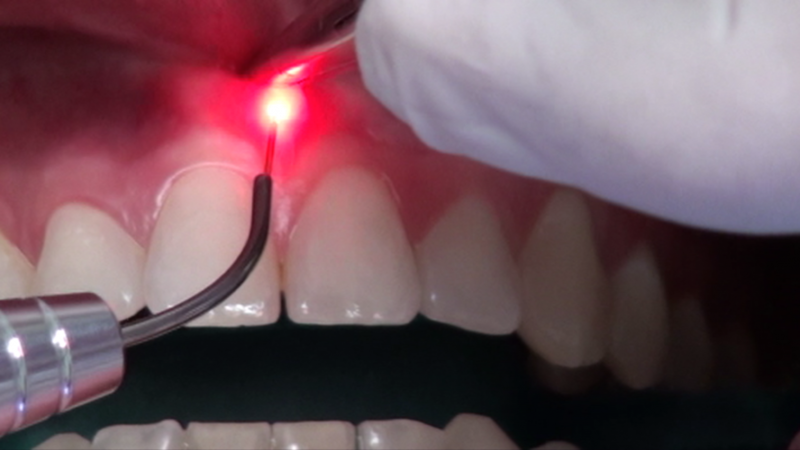 The procedure of cutting with the laser does not generate bleeding, as seen below in image 3. It is needed to make a continuous cut. 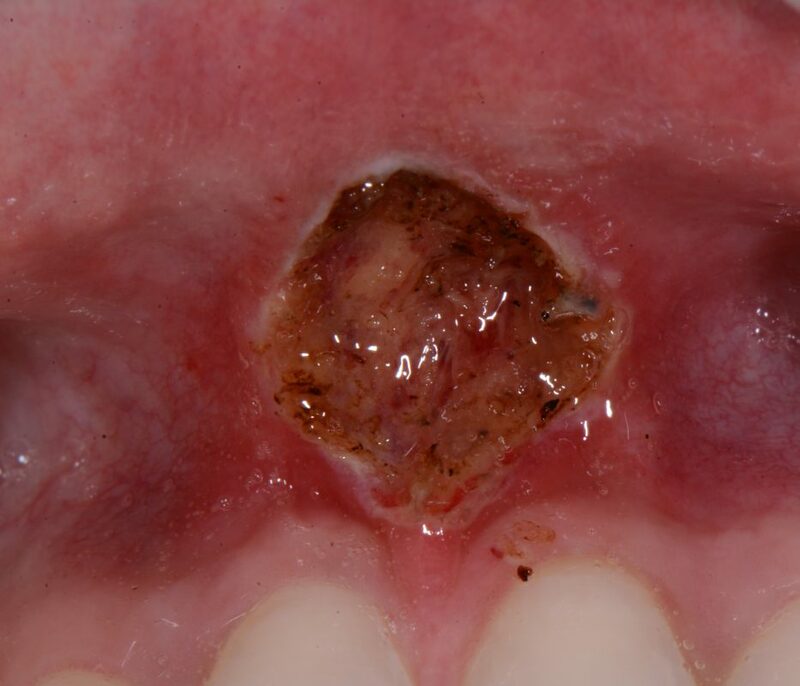 Avoid cutting the same area again since this can generate carbonization of the tissue, which should be avoided. After the procedure, it is recommended to place a chlorhexidine gel. It may present slight inflation and mild pain. This can be controlled with analgesics. 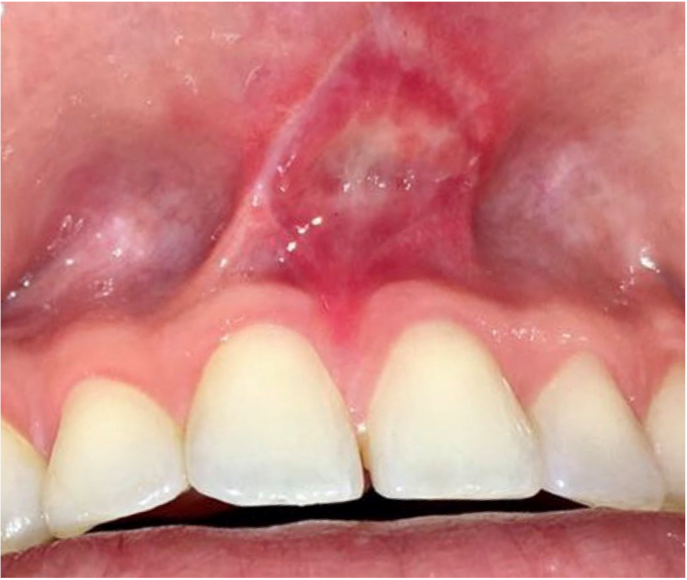 Two weeks after the procedure, initial healing is observed, there is no symptomatology and the re-epithelialization (formation of epithelial tissue) healed the initial wound (image 4). 30 days later, it is observed a healthy area, but the complete maturation of the tissues is not done. However, the lip is completely free, visible in image 5. After 6 months, the complete maturation is observed without evidence of any type of residual scar. 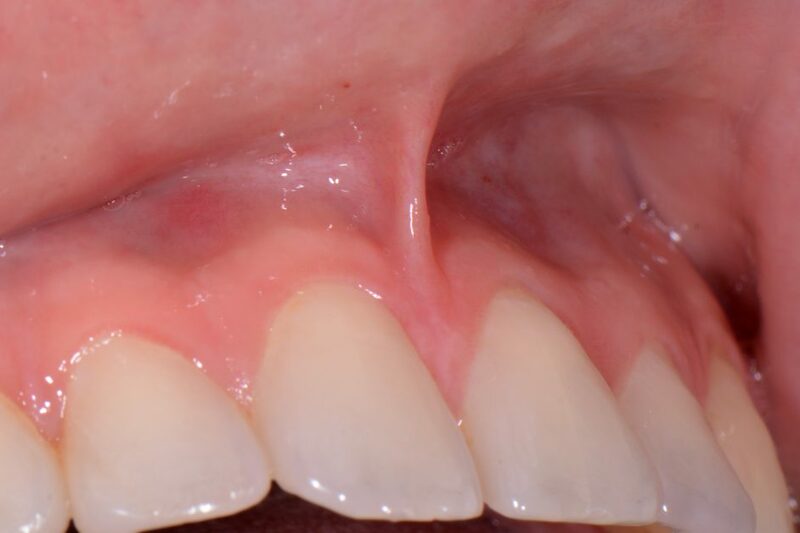 Clinical Study of Laser Treatment for Frenectomy of Pediatric Patients. Komori S1, Matsumoto K2, Matsuo K3, Suzuki H4, Komori T5. 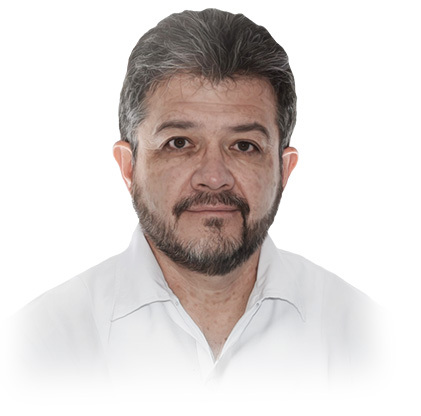 Int J Clin Pediatr Dent. 2017 Jul-Sep;10(3):272-277. 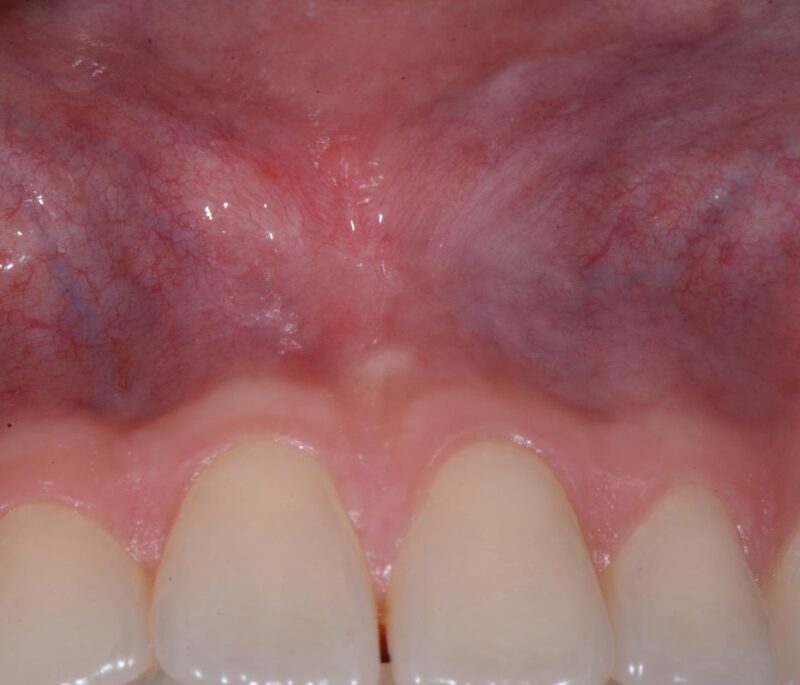 Laser-assisted multidisciplinary approach for closure and prevention of relapse of midline diastema. Kamble A1, Shah P1, Velani PR1, Jadhav G2. Indian J Dent Res. 2017 Jul-Aug;28(4):461-464. IJDR_2_17. 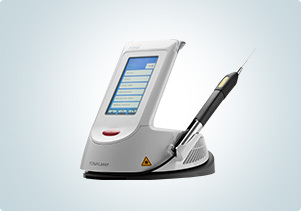 In my clinical experience I have been able to verify the good standard of quality and precision of FONALaser. The great diversity of uses makes the FONALaser an indispensable tool for dentists who want to be at the forefront.